Follow the Money! And more about non-governmental organizations (NGOs) and corporations! “Read all about it”… more pro-business players of harmful fluoridation propaganda to manipulate and control the public! by Dr. Robert J. Carton, PhD. The Big Lie has been maintained by outright fraud and the persecution of scientists attempting to speak the truth. In 1990, Dr. William Marcus, a senior scientist at the U.S. Environmental Protection Agency, was fired for exposing a cover-up in a government study showing that fluoride causes cancer. In 1992, EPA ignored the union representing all 1200 scientists, lawyers, and engineers at EPA’s Headquarters, when the union provided evidence of scientific fraud in the development of the fluoride in drinking water standard. 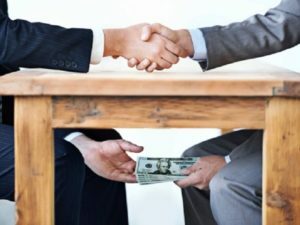 The ‘powers that be’ work overtime at maintaining the Big Lie with some fairly simple but effective techniques: outright fraud and coverup, and intimidation and persecution of scientists and other professionals who dare to speak the truth. One of the best examples of the use of these techniques can be found at the U.S. Environmental Protection Agency (EPA) in Washington, D.C. In 1990, Dr. William Marcus, senior toxicologist in the Office of Drinking Water at EPA, was fired for publicly questioning the honesty of a long-awaited government animal study designed to determine if fluoride causes cancer. Upon examining the raw data of the experiment, Dr. Marcus found clear evidence that fluoride causes cancer and suggested that a review panel set up by the government to review the data had deliberately downgraded the results. He was vindicated in December of 1992 when Administrative Law Judge David A. Clark, Jr. ordered EPA to give him back his job, with back pay, legal expenses, and $50,000 in damages. EPA appealed, but the appeal was turned down in 1994 by Secretary of Labor, Robert B. Reich who accused EPA of firing Dr. Marcus in retaliation for speaking his mind in public. Reich found among other things that EPA had shredded important evidence that would have supported Dr. Marcus in court. The original trial proceedings also show that EPA employees who wanted to testify on behalf of Dr. Marcus were threatened by their own management. EPA officials also forged some of his time cards and then accused him of misusing his official time. Other EPA scientists have attempted to get the truth into the open without success. In November of 1991, Dr. Bob Carton, Vice-President of the union representing all 1200 scientists, engineers, and lawyers at EPA headquarters, presented the Drinking Water Subcommittee of the Science Advisory Board of EPA with evidence of scientific fraud in the preparation of EPA’s fluoride in drinking water standard. (reference) No follow up to verify these accusations was ever made. Six years earlier, Dr. Carton became aware of a cover-up when the person responsible for writing the justification for the fluoride in drinking water regulation confided in him that he didn’t believe a thing he was writing. In other words, the regulation was a lie. Then the regulation writer said: “Well, that’s the way they want it.” In other words, he had to follow orders. Rather than lose his job or his next promotion, he produced what his superiors wanted. Dr. Carton convinced the professional union to take on fluoride as an ethics issue. The union attempted to join the National Resources Defense Council in a lawsuit against EPA in September of 1986 with a submission of a detailed brief to the U.S. District Court in Washington, DC. The court refused to allow the union to join the suit. Just in case you missed it, here’s a link to our last Secure Arkansas article on the barbaric practice of the subversive fluoridation state mandate. In this article, let’s start out by looking at the American Dental Association (ADA). The remaining Officers, Directors, and Trustees and their compensation are listed on IRS Form 990, Schedule J, Part II. The listing of the Officers, Directors, and Trustees are only available on the ADA site if you have a valid login and password. Why is this being blocked from the public? The beastly American Dental Association (ADA) is a 501 (c)(6) that is allowed to influence legislation! Do you see what we mean about non-governmental organizations (NGOs) and corporations controlling our government? Lobbying is a highly paid activity, and Secure Arkansas believes lobbying, in this vile case, is a legal form of bribery and extortion. Special interest groups hire the well-connected professional campaigner, and they will ARGUE for their specific legislation that they want to see implemented. This should be seen in a negative light and as a highly controversial situation, dear reader. Unfortunately, it occurs at EVERY level of government. Corporations do the majority of lobbying and enhance the power of the global elite groups. Lobbying has a frightening hold on our political system! Sadly, our nation will NEVER be the the country for which we hoped, and if allowed to continue, this shifts us towards oligarchy! The average person has very little influence, if any. Lobbying schemes appear to be increasing and even going underground in many cases. Example: When you go to the American Dental Association’s website, they require you to be a “user” before you can access information about the board of trustees! Believe us, dear reader, they have strategies to work around the system that we have never heard of these days. Lobbyists can be seen as the go-between for their clients or organizations and, tragically, even our lawmakers. Many lobbyists sign contracts and organize coalitions, people, corporations, and non profits, including our legislators! Inside lobbying happens quite a bit where they just contact your legislator directly, their staff, or aides to help with policy making directions according to the agenda they want to promote. Most of the legislation written in each state is written OUTSIDE of the state by corporations and non-profits. Penalties for lobbyists giving gifts to lawmakers, for knowingly filing an incorrect report, OR failing to file a quarterly report with the Secretary of State’s office should be readily enforced. Lindy Bollen, Director, Office of Oral Health, Arkansas Department of Health, a dentist, sadly supports community water fluoridation and is on the board of the Association of State & Territorial Dental Directors, a member of the Arkansas Dental Association, and a member of the Central District Dental Society. Bollen is listed as the registered agent of ARKANSAS ORAL HEALTH COALITION where he is shown as the Principal officer and Lynn Mouden shown as Incorporator/Organizer. (Bollen has held may executive offices at some point.) Good luck if you try to search for an actual bio on this guy. This information is all we could find at this time. He’s a really deceptive player who weaves in and out of organizations, government, corporations, and non-profits. This type of incestious affiliations and relationships poses a direct conflict of interest to the public. He is used to spread his line of propaganda and shifted in and out of many offices and corporations: because of money and influence. He is known to promote toxic fluoridation and will hold and bully his way through that line of propaganda. He started out in private practice and then moved on to Arkansas for Medical Sciences; and now he’s in public health. He’s travelling through the channels of power just like the suspicious Lynn Mouden has done in the past. What exactly happened that caused ACT 197 / SB359 (the water fluoridation mandate) to be passed in Arkansas, anyway? Who were the players when it was implemented? Was money involved? Who was paid off (or “financially induced”)? Which legislators received money before and after this vote? Was there a conflict of interest? How did a small town dentist from Weston, Missouri, end up in Washington, D.C? New York – January 25, 2008 – Sixty-three years ago, January 25, 1945, sodium fluoride was slowly poured into Grand Rapids, Michigan’s public water supply to prove that fluoridation reduces children’s tooth decay. Nearby Muskegon was left fluoridation-free as the experiment’s control city for comparison purposes? The study failed; but early fluoridationists ignored this inconvenient truth. Today, Americans are fluoride overdosed and suffer from fluoride’s toxic effects while cavity rates rise. The Grand Rapids experiment never proved that fluoridation was effective and didn’t even look for adverse health effects. But that hasn’t stopped public officials and organized dentistry from saying it did. In fact, two monuments have been built in fluoridation’s honor in Grand Rapids. The first one crumbled and fell apart, just as over-fluoridated children’s teeth tend to do. Today, 2/3 of U.S. public water supplies and virtually 100% of the food supply are fluoridated. Fluoridated dental products have become a multi-billion dollar international market run by powerful corporations who fund organized dentistry through convention sponsorship, grants, journal advertising, etc. Government agencies have distributed probably billions of dollars over the decades for fluoride research, some of which indicates that fluoridation is ineffective at reducing tooth decay, harmful to health and a waste of taxpayer funds – as the Grand Rapids experiment was the first to show. Mistakenly assuming all fluorides are the same, in 1945, sodium fluoride, a waste products from industries such as Alcoa Aluminum Company, was added to Grand Rapids water supply. Recently, researchers made a huge new discovery – something that works better than fluoride – calcium. Lindy Bollen referred to the 2010 PEW Report that was used to promote fluoride in Arkansas, BUT this report actually gave Arkansas an “F”. American Dental Association (ADA) stated that the PEW report used incorrect data that gave Arkansas an “F”. Out of the eight benchmarks used, the Arkansas State Dental Association stated that two of the benchmarks are proven, effective means to improve oral health. The other six benchmarks are PEW’S Opinion with unproven efficacy. Out of the eight benchmarks, only one applies to fluoridation. ADA went on to say that they don’t agree with everything in the report as stated by Dr. Tankersley (former ADA President). This report was also about Medicaid funding. The Arkansas legislators were misled into believing that the PEW report was all about fluoridation. (This shows more deception in getting the fluoridation mandate bill, SB359/Act197, passed into law.) ADA stated the PEW report used incorrect data for Arkansas and that Arkansas should have received a “D” and not an “F”. ADA discredited the PEW report due to incorrect data being used. 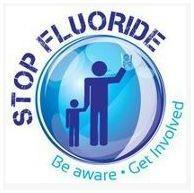 The only thing to which Lindy Bollen admits in his presentation is that too much fluoridation causes dental fluorosis. Secure Arkansas is together with Bollen on this statement. But the Arkansas Department of Health, along with Lindy Bollen, Director of Oral Health, will criticize anyone that opposes their position on water fluoridation or any other of their health issues. They refuse to accept true science and want to go along with the Centers for Disease Control and Prevention’s (CDC’s) (non-governmental) position on water fluoridation or any of their other health issues. Fluoridation must be a personal choice and not some strong-arm tactic coming from Big Business. Currently, Lindy Bollen is shown as the Registered Agent on the Arkansas Secretary of State site for the following three corporations. The only one shown in good standing is Arkansas Oral Health Coalition. LINDY V. BOLLEN, JR., D.D.S., P.A. Another big player in promoting the government and dental position on the fluoride fraud is the American Fluoridation Society (AFS). This questionable group was founded in 2014 by so-called professionals that wanted to see all residents in the United States served by toxic fluoridated water. These different medical and dental associations are highly organized and are highly funded. Here’s some information about the Arkansas State Dental Association. Making the public aware: In the map below, you can see the Arkansas State Dental Association (ASDA) is broken up into five Dental Districts. (This is going to make it harder to follow the money because of how all the money is disbursed!) These are called sustainable “society” medical districts which is actually Sustainable Development working in full force in this state! Medical sustainability is moving forward at a rapid pace. We will try to provide more information about this issue in a future article. Managed Care of North America, Inc., doing business as MCNA Dental Plans, Inc., operates as a dental benefits administrator that provides Medicaid, Medicare, long term care, and children’s health insurance plans and programs to state agencies and managed care organizations. Its dental benefits management services include primary and specialty care dental network, member services, provider relations, claims handling, enrollment, quality assurance and improvement, risk management, credentialing, and compliance. The company also offers commercial dental plans for private employers, individuals, and families, as well as options for brokers or agents licensed in Florida. Secure Arkansas is sure that this group is expecting to see a boatload of money coming in from Medicaid! LOTS of Medicare and Medicaid money! And this last statement shows what they are planning: “The ASDA is very well served when it comes to creating understanding of the procedures of the Arkansas Legislature. Our executive director, Mr. Billy Tarpley, is highly respected in the halls of the capitol. He keeps his foot in the door to many committee hearings and negotiations, and governmental officials understand his knowledgeable nature. He keeps a close knit message of calm and professional relationship with Mr. Don Tilton, our lobbyist. We cannot forget that ASDA member Dr. Deborah Ferguson serves in the Legislature as well, and she is relied upon to share our message and keep us better informed. Tarpley is also a paid chief lobbyist for the Arkansas State Dental Association. This is a MAJOR conflict of interest! Is he representing the public for their health, or is he in it for the money? Whom is he REALLY representing? What’s his true agenda? These players/actors are celebrating and filling their pockets while we are trying to stay alive and make sure that our families are not overdosed on the deadly fluoride chemical! Ingesting too much of this toxic substance is easy to do. Lobbyist Don Tilton of The Capitol Group is one of the top hired guns in the state of Arkansas. Be sure to read this little article from the Arkansas Times on Don Tilton. Representative Deborah Ferguson from West Memphis, Arkansas, is also a dentist and Arkansas State Dental Association (ASDA) member that WILL promote (lobby her own peers in the General Assembly) unhealthy fluoridation practices in our drinking water for the public to be forced to consume. The wolves are doing all they can to keep the fluoridation mandate in place! She is Vice-Chair of the Public Health, Welfare and Labor Committee in the House! Rep. Ferguson was also a co-sponsor of SJR8, the ugly Tort Control bill that changed the power of the Arkansas General Assembly and Arkansas Supreme Court regarding rules of pleading, practice, and procedure. This bad legislation makes it much more difficult to hold corporations accountable for causing illness, injury, and death! It was good for the insurance companies… but bad for consumers. HB1255 – TO CREATE A TEMPORARY CHARITABLE DENTAL LICENSE; AND TO DECLARE AN EMERGENCY. Keep in mind that the American Dental Association (ADA) is a member of the American Legislative Exchange Council (ALEC), and ALEC is a non-governmental organization run by corporations to improve their bottom line. All these NGOs and corporations have taken over and are running the country. In closing, you should be able to see why we need MORE transparency! Unethical behavior, lies, and deceit have plagued our Arkansas government for a long time, especially with the General Improvement Funds (GIF) taxpayer money, and it just gets worse. Secure Arkansas expects more scandals to be revealed and uncovered any day now. A reminder: this last tormented 2017 legislative session was loaded up with a litany of bad legislative bills regarding harmful strikes to our wonderful Sunshine Laws of the Freedom of Information Act (FOIA). You’ll recall that many Arkansas legislators wanted our FOIA requests stopped and information covered-up! Senator Bart Hester and Representative Bob Ballinger worked very hard to promote this inventory of endgame-type legislation! Unbelievable, isn’t it? Please see to it that this type of sneaky underhanded lawmaker does not get elected again, dear reader. PLEASE! Secure Arkansas has a true burden for the people – for their health and welfare – as you can see from our articles.